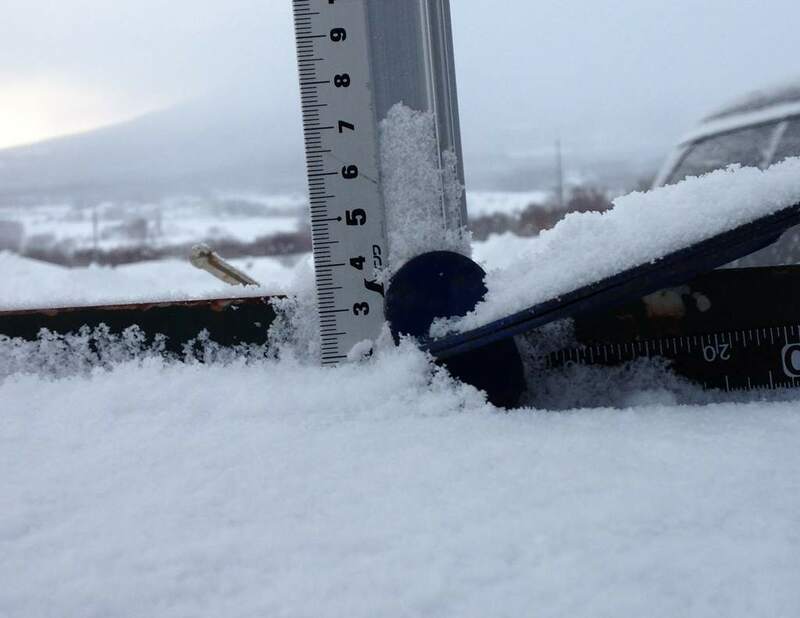 The Ruler is showing that just *2cm of fresh snow has fallen in the last 24hrs in Hirafu Village. At 7:30 today the temperature was -9°C. But we all know that’s not what happened. Yesterday the Niseko area was hit by a storm that dumped a bucket load of snow, and wind swept it into every crevasse large or small, to give a us fresh powder landscape this morning. Go and carve those banks!